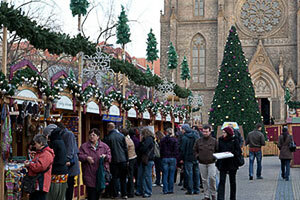 Visitors come from all over to experience the Christmas markets (vánoční trhy) in Prague. Some unique products that are available at the markets are Christmas ornaments and holiday decorations, traditional Czech Christmas cookies, tablecloths, Frankincense or the Czech Christmas potpourri called purpura. 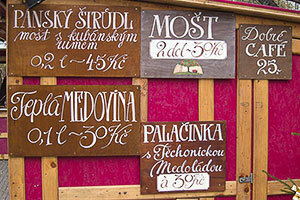 Some other items on offer are Czech wooden toys, crafts, clothing accessories, scented candles or handmade soap. 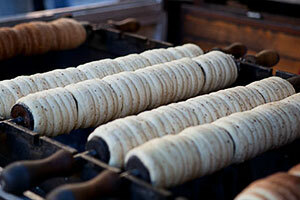 You can taste some traditional Czech foods that are made fresh right in front of you. Hot wine (svařené víno or svařák), grog, and warm honey liquor called medovina come in handy in the cold weather. Czech Christmas carols add to the festive atmosphere. After dark, the markets are lit up beautifully. When Are the Markets Running? 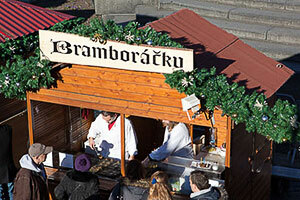 The peak time for Prague Christmas markets is December. Almost all markets are open in the three weeks before Christmas, including the main ones at Old Town Square and Wenceslas Square. The smaller markets run until Christmas, the one on Old Town Square is usually open at least until January 1, and the one on Wenceslas Square typically stays around through the first week of January. 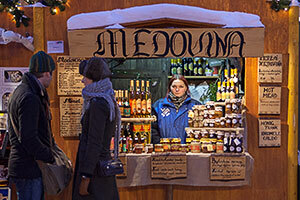 The largest and most popular markets are on the Old Town Square and Wenceslas Square. The Old Town Square Christmas market is the prettiest and busiest in Prague. Little stalls are nestled around the Jan Hus statue and surrounded by centuries-old Gothic, Renaissance, and Baroque architecture. The market is dominated by a Christmas tree, which is adorned with hundreds of lights and is lit every evening at dusk, usually around 5 p.m. A stage is erected every year where Christmas concerts and short plays are performed in the open air. This is another large Christmas market in the city center. It is located in the lower part of Wenceslas Square. 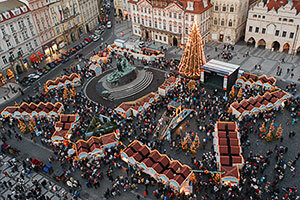 A Christmas market within walking distance from the Old Town Square and near the Náměstí Republiky metro station (line B) and tram stop (tram 5, 8, 24, 26). This is a local Christmas market visited mostly by residents of the surrounding district of Vinohrady. It is held in front of the Church of St. Ludmila on the pleasant Náměstí Míru in Prague 2 (metro line A or tram 4, 10, 13, 16, 22 to Náměstí Míru). 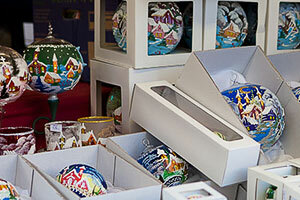 It is traditionally the first Christmas market of the season. The 'Christmas at the Exhibition Grounds' market in Prague 7 is usually accompanied by a weekend entertainment program for both children and adults. The price of admission is 25 CZK. Take tram 12, 17 or 24 (e.g. from the Nádraží Holešovice metro station, line C) to Výstaviště Holešovice.